Stop That Game Truck serves the Greater Binghamton and Southern Tier area of New York including Broome County, Tioga County, Chenango County, Cortland County, Delaware County and surrounding areas. 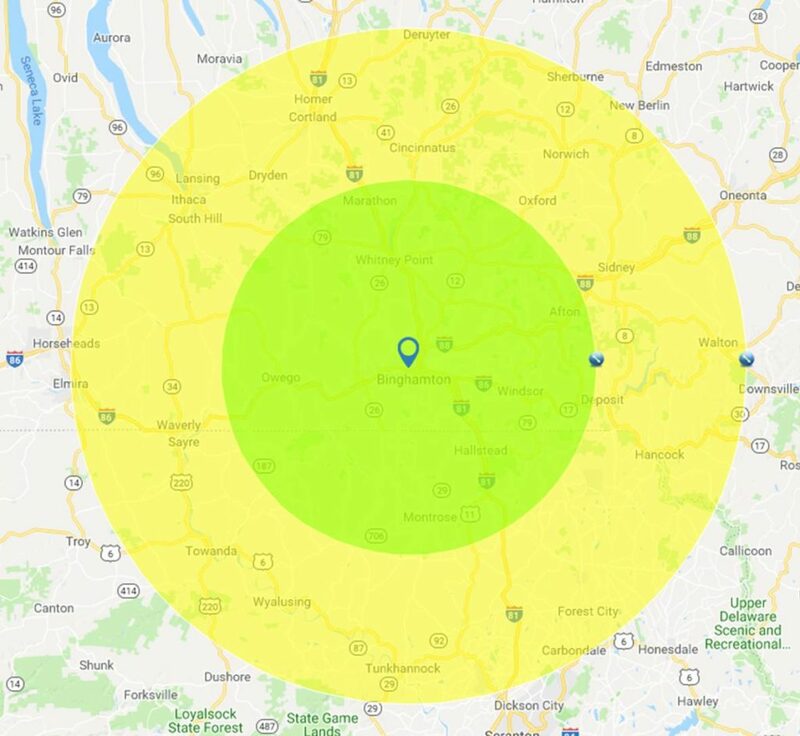 Our service area includes Afton, Apalachin, Bainbridge, Barton, Berkshire, Bible School Park, Binghamton, Blodgett Mills, Brooktondale, Candor, Castle Creek, Chemung, Chenango Bridge, Chenango Forks, Cincinnatus, Conklin, Corbettsville, Cortland, Deposit, Dryden, East Pharsalia, Endicott, Endwell, Erin, Etna, Fishs Eddy, Freeville, Gilbertsville, Glen Aubrey, Greene, Guilford, Hancock, Hartford, Harpursville, Homer, Ithaca, Johnson City, Killawog, Kirkwood, Lisle, Lockwood, Maine, Marathon, Masonville, McDonough, McGraw, McLean, Mount Upton, Newark Valley, Newfield, Nichols, Nineveh, North Pitcher, Norwich, Ouaquaga, Oxford, Pitcher, Plymouth, Port Crane, Richford, Sidney, Sidney Center, Slaterville, Smithboro, Smithville Flats, South Otselic, South Plymouth, Spencer, Tioga Center, Trout Creek, Tunnel, Unadilla, Van Etten, Vestal, Waverly, Wells Bridge, Whitney Point, Willet, Willseyville, and Windsor New York. We also serve areas of Pennsylvania in Athens, Brackney, Brooklyn, Camptown, Clifford, Dalton, Dimock, Dunmore, Factoryville, Fleetville, Forest City, Friendsville, Gibson, Great Bend, Hallstead, Harford, Herrick Center, Hop Bottom, Jackson, Kingsley, La Plume, Laceyville, Lake Como, Lakewood, Lanesboro, Lawton, Le Raysville, Lenoxville and Little Meadows. Don’t see your town or city listed? Contact us and see if we can come to you! Beyond 30 miles from us, we serve our “Secondary Service Area” of up to 60 miles (represented by the yellow area on the map.) We charge a Travel Surcharge (based on your distance from us) for areas outside our 30-mile Primary Service Area. See the chart below for these amounts. Service circumferences shown are approximations.